It’s almost 20 years since Hector left Mexico to pursue his dream of DJing. On this journey, he has learned that there is no room to become complacent, and to stay sharp you need to test your skills by not being afraid to experiment with what inspires you. ‘Vlack is a new imprint created by Hector for techno focused releases that he also enjoys playing and producing outside of those deeper more minimal grooves. 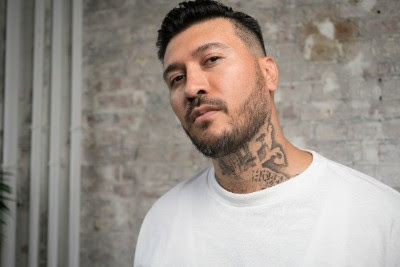 Through the years of working in Phonica Records as a young and aspiring DJ, Hector was exposed to many genres of electronic music, many that he had never heard before, and this was a hugely inspirational time that shaped him musically. For the first release, Hector has collaborated with MoodRAW boss Nicole Moudaber. Having met Nicole through Smokin Jo, the two naturally clicked. This led to Hector producing a remix for Moudaber’s 2015 collaboration EP with Skunk Anansie singer Skin. A project he admired Nicole for, and the way it sought to break the boundaries down. Working together, Hector and Nicole’s production style gelled perfectly as they understand each other musically but respect each other’s individual sound. Mixing the two producers styles together was a challenge, but one the pair relished. Taking their time to ensure the end product was something they were both happy with. There will be a special remix package to follow the EP in the new year. Hector talked with DJ Sounds recently about his journey from pro footballer in Guadalajara to becoming a globally recognised DJ, and the twists and turns between.